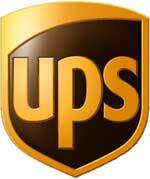 The typical discount on international shipping provided by FedEx, UPS, and DHL to their account holders is 15%. If your business ships international through Prime Pack & Ship, we can beat that discount and save you hundreds! Prime Pack & Ship offers discounted international rates for FedEx, UPS, DHL, as well as Air and Ocean freight. U.S. Postal Service is also available but is not discounted. Price and service comparisons are available for every shipment. Destinations outside major metropolitan areas may require additional transit time. Destinations in Central & South America, Africa, and Eastern Europe may also require additional time. Call us for a specific time-in-transit quote to any worldwide destination. Why Ship International with Prime Pack & Ship? At Prime Pack & Ship, you can compare price and service between multiple carriers. Why is this important? A shipper’s price and quality of service are not the same everywhere. DHL, for example, has superior service in certain parts of the world, but in others is equal to FedEx. Also, FedEx has lower rates than DHL for some countries, and higher for others. There are many variables which affect a shipment’s cost. However, because Prime Pack & Ship offers the most options, you will always be able to choose the best price for the service you require. Our experience saves you even more! Benefit from our experience! Using the right terminology in customs documentation can minimize import taxes. Customs preparation is easy and free of charge when you ship with us. Size matters! In most cases, a smaller parcel will cost less to ship. Have us package your shipment safely and efficiently and save on shipping cost. A difference of an inch or two in size can often save you $25.00 or more.